Coul Links developers want to create an 18-hole championship course that could cost close to £10million near Embo. But the Scottish Environmental Protection Agency (Sepa) had objected to the scheme, along with hundreds of others. To mitigate the impact a number of greens, tees and fairways would have to be relocated. Its report also highlighted the disruption to groundwater dependent terrestrial ecosystems, such as dune slacks, which are wetlands protected under the EU Water Framework Directive. However, following extensive talks with the developers and further materials being submitted, the agency has now withdrawn its objection. The move has been warmly welcomed by Todd Warnock, one of the American developers behind the Coul Links project. He said: “We are very pleased with the thorough and professional dialogue we have had with Sepa over the last almost three years. “We have taken the time to work constructively together to ensure the environmental integrity of the site and at the same time to advance one of the largest private investments in the history of Sutherland. However, one member of the campaign group Not Coul, said he was “very surprised” at the decision. 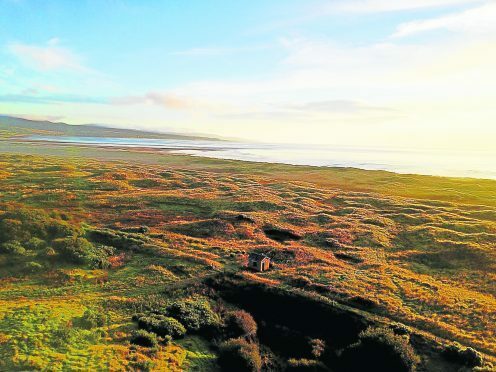 The group is concerned the course could upset what they say is one of the last remaining dune landscapes in Scotland. However the proposals have considerable local support, with about 250 jobs expected to be created. The scheme is backed by the Embo Trust, a company which seeks to develop and manage local assets in a way that benefits the area.